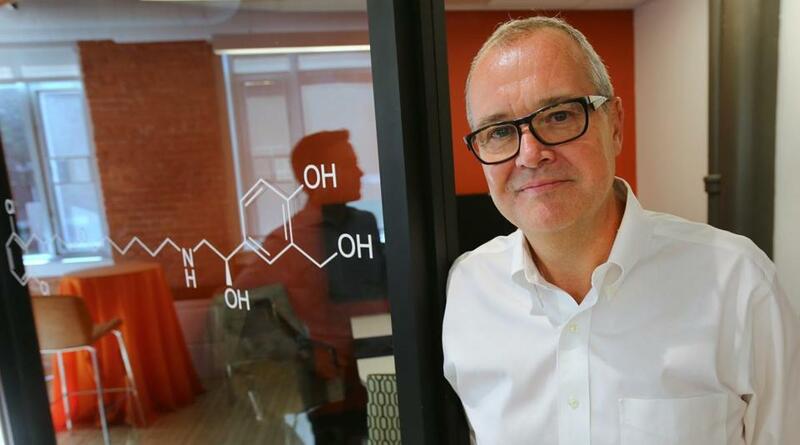 Executive Patrick Vallance says GSK wanted a Boston presence. CAMBRIDGE — The research chief of GlaxoSmithKline PLC said Wednesday that the British drug giant is becoming a more “open” organization, moving toward greater collaboration in developing medicines and building confidence with the public by halting payments to doctors for giving promotional talks about the company’s products. On a visit to the Boston area to formally open GSK’s Kendall Square office, Patrick Vallance, president of pharmaceutical research and development, said the company will become the first drugmaker to stop paying physicians for promotional appearances, a move that won’t take effect until 2016. Instead, GSK plans to promote its drugs online and through the company’s scientists. While many other global pharmaceutical companies have already set up shop in and around Boston — including Pfizer Inc., Merck & Co., Novartis AG of Switzerland, Sanofi SA of France, and EMD Serono of Germany — GSK has been late to the game. It has about 80 employees in the Boston area at biotech companies it has bought and through collaborations, including with the Harvard Stem Cell Institute, but GSK has not had an office here until now. The initial operation in Kendall Square will be small — fewer than 10 people. He cautioned that GSK has no plans to build a giant Boston-area research center. “We don’t want a great big building, top to bottom with GSK labs and lots of security passes,” he said. Vallance said GSK will be using the Kendall Square office as a perch to keep its eyes on promising drug discovery at the area’s academic medical labs and biotech startups — and forge research partnerships. GSK employees in Cambridge will pass on leads to company research centers in London, the Philadelphia area, and North Carolina’s Research Triangle Park — and to satellite sites from France and Spain to China — through video linkups. Like other drug companies, GSK has been concentrating research on what it considers the most promising areas. That has meant abandoning studies of depression medicine and focusing more on treatments for respiratory and inflammation disorders, along with cancer and infectious diseases. The company is also a leader in vaccines and cell and gene therapies. Vallance said GSK’s decision to stop paying doctors for promotional talks is part of a broader strategy. “As a general principle, we’re very strong believers that the industry needs to be more open and needs to be more transparent,” he said. “And that manifests itself in quite a big approach to open innovation in the discovery space, the transparency of clinical trial data, and transparency in our relationship to doctors.